Here’s a great event that supports Hawaii’s Craft Brewers Guild and nets you 5 gallons of wort to ferment at home. Lanikai Brewing Company is hosting the very first Ohana Brew on Sunday, March 20th, to help raise funds for the guild. I’m sure you’re asking yourself what the heck is an “Ohana Brew” and what does the Guild do? The Hawaii Craft Brewers Guild is made up of most (not all…yet) Hawaii based craft breweries. The Guild works on behalf of the breweries to support state and local legislature that is beneficial to the brewing industry, tax lobbying and promoting Hawaii as a craft beer destination. In short, it’s a way for our local brewery owners to band together and help grow the industry and support the issues that are important to all. The Ohana Brew is a take on an event I used to participate in at my old home brew club in Los Angeles (Pacific Gravity). Every year we would get to brew at a professional brewery and everyone would take home five gallons of wort to ferment at home. Well, Ohana Brew is our Hawaii version of that! This is a fantastic way to participate and learn how beer is brewed on a professional scale. You get to be in the brewery and help out with the brew, which is loads of fun. Overall the brew days were always a great time to hang out with fellow home brewers and get your hands dirty shoveling spent grain. At the end of the day, you get to take some wort home that is ready to be pitched. There are dozens of ways you can doctor up the wort to create your own unique beer. Whether you’re a seasoned home brewer or just getting started, this is sure to be a really fun event. Plus, it raises funds for a great organization that is working to make Hawaii an even greater brewing state. It’s a win…win! 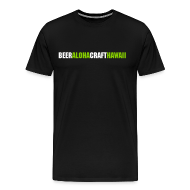 About the Ohana Brew: Lanikai Brewing Company in Kailua, Hawaii will be hosting and inviting local homebrewers, or those interested in the brewing process in general, to join us as we make a batch of brew! You will be working directly with LBC brewmaster Steve Haumschild (Siebel Graduate and Certified Cicerone®), and Brewers Chris Cook and Jeff Hyatt (Siebel Graduate). Casually, we will be going through the commercial brewing process step by step to explain technique, overview commercial equipment, water adjustments, milling, mashing, sparging, lautering, boiling, cleaning practices, etc. At the end, each participant can take home 5 Gallons of Wort and is welcome to adjust the wort to make give it their style of beer by pitching the yeast of their choice, adjuncts, dry hop or add local ingredients (LBC favorite). More wort can be available for purchase with advance notice. 1 month later, all are welcome to a private tasting party at LBC where Steve Haumschild and LBC Brewers along with Tim Golden (BeerinHawaii.com/Village Bottle Shop and Certified Cicerone®) where we will do a blind test to determine the winner of the 1st Annual Ohana Brew and get your trophy! (Judging details and categories to be announced prior to Ohana Brew Date). Profits from this event will be donated to the Hawaiian Craft Brewers Guild. About the Hawaiian Craft Brewers Guild: 501c7 entity composed of high percentage of Breweries in Hawaii including; Big Island Brewhaus (Tom Kerns President), Maui Brewing Company (Garrett Marrero VP), Kauai Island Brewing Company (Bret Larson Secretary), Lanikai Brewing Company (Steve Haumschild Director), Kauai Beer Company (Jim Guerber Director), Kohola Brewing Company, Home of the Brave Brewing Company, Stewbum and Stonewall Brewing Company, and Waikiki Brewing Company. The mission of the HCBG is to promote and protect small independent Hawaiian Brewers, their craft beers, and the community of brewing enthusiasts by creating a better marketplace for all local brewers by lobbying for reduced taxes, advocating for modern beer laws, changes in licensing, promotion of Craft Beer, truth-in-labeling to protect the “Made in Hawaiian Brand” and reduced vendor costs. Ohana Brew day: Sunday March 20th, 2016 starting at 11 am (show up by 10:30am and finish by 4pm.) Space is limited, so you must RSVP and pay at either at Lanikai Brewing Company, or via contact them at beer@lanikaibrewing.com. ***Reservations are required to account for how much wort to brew. Private Tasting Party for the awards! Wednesday April 13th at 6 pm. Bring at least 3 bottles of your brew to put into the competition and for others to sample. Try the beers, pick your favorite. You can enter yours in the contest with a chance to win a trophy or other prizes. Judging categories and criteria to be announced. LBC on draft for after(limited). Cost $100 per person. Includes 5 gallons of wort (must provide your own clean plastic fermenter and lid), LBC Hat, beers during the boil (limited) and the awards ceremony brews. ***Remember this is a fundraiser for the HCBG, so its about supporting the cause. You must bring a clean and sanitized PLASTIC (no glass, no exceptions), fermenter bucket of your choice with a wide open mouth. If you need one, the LHBS should have everything you need for this. There is no brewery parking, so you will have to walk over. Don’t worry, you can pick up your wort with your vehicle when you leave. 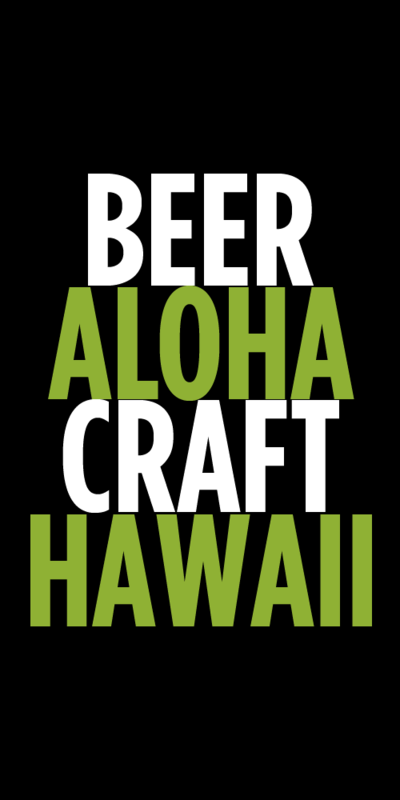 Tags: Hawaii Craft Brewers Guild, Home Brewing, Lanikai Brewing Company, Ohana Brew. Bookmark the permalink.